Cartilage injuries have long been a problem for orthopedic surgeons. Serious injuries to the articular cartilage surfaces of the knee are often difficult to fix, but that is beginning to change thanks to recent advances in research. Cartilage degeneration can now be treated better than ever through an advanced surgical technique that only a few surgeons in the country are utilizing, known as Autologous Chondrocyte Implantation (ACI), also known as cartilage regeneration. The Director of Meier Orthopedic Sports and Regenerative Medicine in Los Angeles, Steven W. Meier, MD, is one of a select few orthopedic surgeons who can perform this advanced cartilage restoration procedure. Contact his office today at 310.736.2793 to schedule an appointment with him for orthopedic services and sports medicine! Articular joint cartilage is the smooth tissue that covers the articulating (interacting) surfaces where bones meet other bones at the joints. Healthy articular cartilage allows you to move your joints easily, and with minimal friction, as well as provides cushioning between the bones so that movement may be pain-free, even with weight-bearing impact. Articular cartilage in the knee provides a cushion between the thighbone (femur), shinbone (tibia), and kneecap (patella). What Causes Joint Tissue Damage? Not all joint connective tissue damage is permanent without arthroscopic knee surgery intervention. Some meniscal tissue inside the knee has access to the body’s blood supply. This “red zone” of the meniscus tissue is sometimes able to repair itself thanks to a fresh supply of cells and nutrients from blood vessels. Unfortunately, damaged meniscal cartilage from the inner two-thirds typically does not have access to a fresh supply of blood cells. When this “white zone” meniscus cartilage is damaged, it cannot repair itself. This can lead to frayed and/or floating debris inside the knee that can cause a host of problems, including ongoing pain. Also, articular cartilage attached to the ends of the bones themselves cannot regenerate itself, and this thinned or worn-away layer of cartilaginous tissue contributes to painful bone-on-bone contact between the thighbone and shinbone at the knee. Long term, joint connective tissue damage is a cause of chronic knee pain and can lead to even further cartilage degeneration. Patients with joint tissue degeneration can have gaps or lesions in their articular cartilage that cause considerable pain and can affect the ability to accomplish daily tasks and activities. 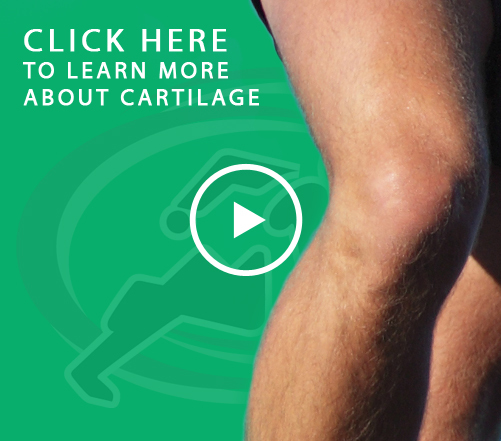 There are a few different options for cartilage surgery. Some are more likely to succeed than others, and the preference depends on a physician’s strengths as well as the patient’s ability to commit to a rehabilitation program, as well as the type of injury they possess. Of these three methods, ACI surgery is the most advanced and proven method to treat joint connective tissue degeneration in the knee. It is also a surgery that very few doctors can perform. Luckily, Dr. Meier is one of a select few surgeons that perform this specific type of cartilage restoration surgery for the knee. This extremely promising technique has the goal of restoring new joint connective tissue to a place inside a joint where it has been torn away or worn down. The goal of any articular cartilage restoration procedure is to stimulate and/or encourage new hyaline cartilage growth. This procedure, which ultimately results in cartilage restoration and regrowth, will require two surgeries to complete. One surgery is arthroscopic and the other open. The first procedure is done through knee arthroscopy, which is a minimally invasive procedure. Dr. Meier will take a biopsy of your healthy cartilage cells and address any other issues that may be causing pain within the knee joint. The biopsied sample of cells will be sent to a lab where they are cultivated. Over the next several weeks, your own cells are cultivated to multiply and grow to a point where they can be implanted. The next step is the implantation of the new, healthy cartilage cells. 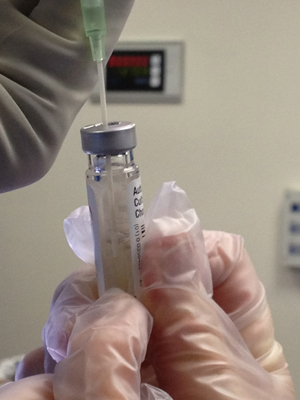 To implant the newly grown cells, Dr. Meier performs an open surgical procedure. First, a layer of tissue matrix is seeded with the cultured cartilage cells, sewn over the defect (the area that needs new cartilage), and then sealed into place with fibrin glue. Then, Dr. Meier will inject the new cartilage cells into the defect under the cover, where the new cartilage will grow into the defined area and fill in the hole of the defect until it has become like the healthy cartilage surrounding it. Rehabilitation is essential to the success of joint connective tissue restoration. It is critical that any potential ACI patients commit to anywhere from six months to a year of consistent physical therapy and rehabilitation in order to achieve the best results and hopefully return to a condition of low to absent pain levels and a level of high athletic functioning. Dr. Meier requires this serious commitment to an extensive course of physical therapy to help ensure that the joint heals properly and mobility returns, as well as the new cartilage is protected and allowed to grow without interference and pain resulting from a poorly rehabilitated joint. If the patient does not comply with the physical therapy and rehabilitation, then the improvement outcome of the cartilage restoration will not be as dramatic and promising as expected. We have had some great successes with young, athletic patients, as well as older patients that fit the criteria to undergo this advanced surgical procedure. Learn more about cartilage injury and degeneration from nlm.nih.gov. Chronic knee pain from joint connective tissue injury or degeneration does not have to continue forever. Find out how cutting-edge ACI surgery can help you get your knee healthier. Dr. Meier is one of the few surgeons in the greater Los Angeles area currently performing this advanced procedure. Take advantage of this great opportunity! Contact the Los Angeles orthopedic doctors at Meier Orthopedic Sports and Regenerative Medicine today at 310.736.2793, or fill out the website contact form, to schedule a consultation with Dr. Meier! Next, read about Kneecap Pain.